Is Malta Stealing Gibraltar’s Major Gambling Operators? Brexit was a serious and critical decision, which influenced more than the British economy. All the processes happening in Europe affects every part of it somehow. Gibraltar got the short end of the stick, losing several major gambling operators, who decided to switch their Gibraltar licenses for better ones. Why does it happen? Let’s try to find out. The main reason is that Gibraltar is still a member of European Union, but being a part of the British territory causes many issues for the country. Gibraltar had no say in the negotiations about Brexit, but more than 95% of citizens voted to remain a part of EU. The Brexit backup plan was a troubling sign for Gibraltar. It’s not the only problem. Spain wants to punish Gibraltar for refusing to accept joint sovereignty. Between the devil and the deep sea – Gibraltar’s status still remains unclear. All these reasons caused a collapse in Gibraltar’s strong position in the gambling industry. Many high-powered online casino groups are going to jump ship, and some of them have already moved to Malta. They were no longer able to operate with Gibraltar license because of “hard Brexit”. Online casinos can’t rely on the freedom of services anymore. Which casino groups have already moved to Malta from Gibraltar? Brexit threatened online casinos with Gibraltar’s license, and it caused essential movements. For example, Gibraltar-based 888 casino group has already applied for Maltese license. Bet365 wants to expand their presence in Malta. They have already signed the agreement and paid a fee. Another enormous casino group, William Hill, wants to play a double game. They are going to open a small office in Malta, but the main one will remain in Gibraltar. So they will have the licenses from both bodies, having a few lines of retreat. Gibraltar’s online gambling industry used to generate over 30% of the full sector’s income globally. It was around $39,3 billion, and now they are going to lose most of them, as a result of Brexit and instability. What will all these changes mean for customers? Let’s talk about the reputation. Gibraltar’s license isn’t bad, but it has never been the most reputable one. The license from the Malta Gaming Authority is considered much more valuable. As a result of such changes, the casinos with new Maltese licenses may get more customers and a higher reliability. Overall, there’s nothing for the players to be worried about. If anything, the casinos will become more reputable and trustworthy. How many casinos are also going to move to Malta? We can assume that the biggest casino groups would like to feel safe, and will follow the lead of 888, and others. Smaller groups may stay at Gibraltar, not having money and resources to move. The only thing we can tell you for sure is that the Gibraltar gambling industry will become much weaker. Probably, when the situation stabilizes, all the former Gibraltar-based casinos will return. It’s only an assumption of course. We should admit that Gibraltar is now suffering from Brexit, being pushed by Spain. But, the main thing for the players all over Europe, is that they are fully safe with the casinos licensed by the Malta Gaming Authority. 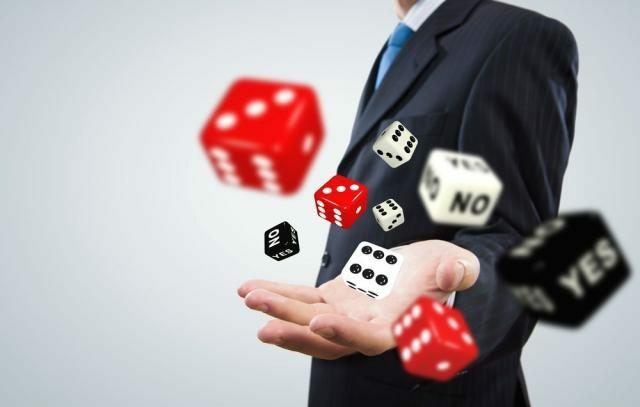 In order to find more trustworthy and reliable online casinos, visit HolyMoly website. Just be aware that some casinos may have no license, if they’ve lost the Gibraltar one, and you should make sure to double check all of the information before opening an account at new casinos.